Mindy Weinstein conducts a LinkedIn workshop for GCU students. 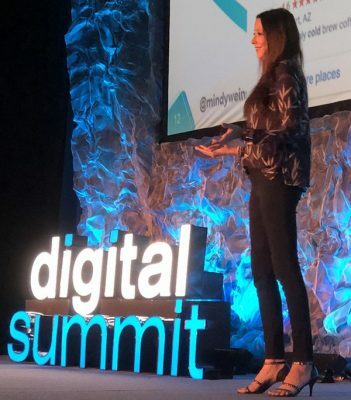 Mindy Weinstein was surprised recently to find her name on a Digital Summit promotion listing “Women Marketers Not to Miss.” But maybe her lofty status is the result of making sure she doesn’t miss any breaking news in the industry. Weinstein, who joined the Colangelo College of Business (CCOB) full-time faculty for the 2018-19 Grand Canyon University academic year after two years as an adjunct, isn’t in demand solely for her speaking skills. She also owns her own digital marketing company, Market Mindshift, and is making news as a writer as well. 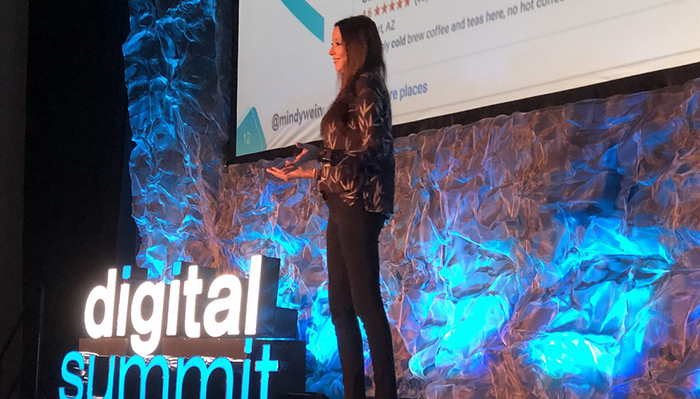 Search Engine Journal has published her column since 2015, and her piece titled “A Technical SEO Checklist for the Non-Technical Marketer” received the website’s Highest Page Views award for a recent month. It was viewed more than 9,000 times, according to the website. It was a classic case of using your expertise and not overthinking it. But it was Weinstein’s impact as a presenter at industry workshops that helped create those opportunities. Weinstein is a frequent speaker at industry workshops. Talk about pressure: She worked for a large search-optimization company with clients such as Facebook and The Weather Channel, and she also did training for industry professionals – 30 people, eight hours a day, five days a week. They would have complex questions, and she had to have the right answer. Faulty advice could have crashed their website. She did all that even though she insists she’s an introvert. Weinstein and her husband, Mike, have lived in Arizona for 18 years. They have two sons – Quentin, 12, and Bryson, 9. 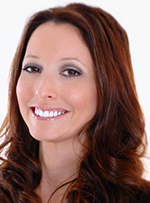 She is teaching four classes at GCU, including two “Principles of Marketing” courses and two “Promotions and Advertising” courses, and is set to start teaching a new Digital Marketing class in the spring semester. She urges students to read, read, read, just like she does. She even brings in industry journals to make sure they’re looking at the right material. “Marketing changes all the time … all the time,” she said. The biggest trend? Artificial Intelligence (AI). Bringing in someone of Weinstein’s caliber is hardly new in CCOB. Dr. Randy Gibb, the college’s dean, makes it a hiring practice to find industry experts. Weinstein recently did a LinkedIn workshop that packed the lecture hall, but she shares more than her own expertise. She also brings in prominent local executives as guest speakers. From the looks of things, a lot of people are saying the same thing about her work.